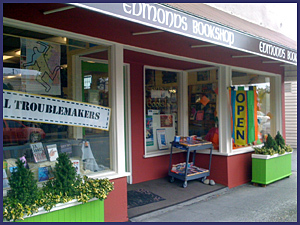 Located in thriving downtown Edmonds WA, we have books for readers of all ages and interests. We also offer a fun selection of gift items and a unique selection of cards. We are always happy to recommend books based on your reading preferences. Search for a specific book here on this site [search box above in the main menu] or contact us in person, via email or phone. Easter is Sunday, April 21 this year. We have all kinds of cards and books to help fill your baskets! Oliver Sacks has a new book on sale April 23, 2019: "Everything in Its Place: First Loves and Last Tales"
Pre-order your copy today! Here. The lists below are curated and updated regularly by all of us here at Edmonds Bookshop. To access the complete lists, including our personal recommendations and notes, click on the links under "Browse Books" on the menu above.